It has been evident for a while that the result after resection for colon cancer may not have been optimal. Several years ago, this was showed by some leading surgeons in the USA but a concept of improving results was not consistently pursued. 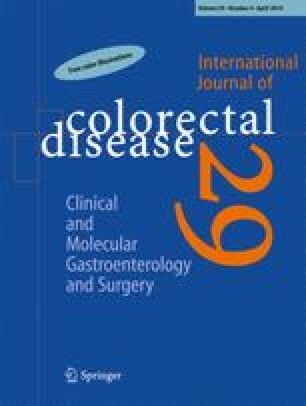 Later, surgeons in Europe and Japan have increasingly adopted the more radical principle of complete mesocolic excision (CME) as the optimal approach for colon cancer. The concept of CME is a similar philosophy to that of total mesorectal excision for rectal cancer and precise terminology and optimal surgery are key factors. There are three essential components to CME. The main component involves a dissection between the mesenteric plane and the parietal fascia and removal of the mesentery within a complete envelope of mesenteric fascia and visceral peritoneum that contains all lymph nodes draining the tumour area (Hohenberger et al., Colorectal Disease 11:354–365, 2009; West et al., J Clin Oncol 28:272–278, 2009). The second component is a central vascular tie to completely remove all lymph nodes in the central (vertical) direction. The third component is resection of an adequate length of bowel to remove involved pericolic lymph nodes in the longitudinal direction. The oncological rationale for CME and various technical aspects of the surgical management will be explored. The consensus conference agreed that there are sound oncological hypotheses for a more radical approach than has been common up to now. However, this may not necessarily apply in early stages of the tumour stage. Laparoscopic resection appears to be equally well suited for resection as open surgery. Albert Wolthuis, Ole Sjo, Chris Hunter, and Dejan Ignjatovic contributed to the conference in various ways and we are grateful for their contributions. The conference was sponsored by Covidien, K Storz AS, Johnson&Johnson, Olympus, and Endotech. Other contributors were Haraldsplass Deaconess Hospital and The Norwegian Medical Association. PQ and NPW are supported by Yorkshire Cancer Research, NPW by the Pathological Society of Great Britain & Ireland, and PQ by the CRUK and ECMC centres. Europe: Most often right hemi-colectomy with right branch of MCA and mesenteric lymph node dissection on the right side of MCA. Usually, the ICA is ligated at the level of the SMV but if suspicion exists of proximal lymph node metastases at the root of ICA, the resection may be carried to this level. Japan: Resection according to the cm-rule of the Japanese guidelines and presence of arteries. Mesenteric resection is carried along the axis of the SMV but not beyond this vein. E.: Right hemi-colectomy with right branch of MCA. J.: Segmental resection according to the cm-rule of the Japanese guidelines. If the MCA is closer than 10 cm, the right branch is ligated. E.: Extended right hemi-colectomy including MCA with tension-free anastomosis to the left. Some advocate resection of lymph nodes in the lateral 10 cm of the right gastro-epiploic vascular curvature, the sub-pyloric, and lymph nodes over the pancreatic head. J.: Segmental resection with right branch of MCA if MCA is more than 10 cm beyond tumour. If it is less than 10 cm, resection of the right branch of the MCA and 5 cm beyond but sparing the arcade and the left branch of MCA. Resection of the RCA, if present, is advocated if it is less than 10 cm from the tumour. Lymph nodes should be resected along the right side of the MCA. E: Resection of the transverse colon and MCA. If the resection is carried beyond the flexures, an anastomosis placed on the right may be considered. It is essential to avoid tension. Some may resect the left gastro-epiploic arcade if the tumour is situated to the left of the MCA and nodes along the inferior aspect of the left pancreas. J: Resection of MCA with bowel resection according to the cm-rule. Lymph nodes are resected to origin of resected vessels. E.: Left hemi-colectomy to origin of LCA, first sigmoid branch if tumour is quite distal, and left branch of MCA. If IMA is ligated, sigmoid resection is necessary. J.: Segmental resection according to guidelines of distance. The LCA is divided and lymph nodes dissected upwards from just above the aorta (about 1 cm). E.: Sigmoid resection with ligation of IMA about 1 cm from aorta. J.: Sigmoid resection with ligation of IMA distal to the LCA. Lymph nodes are dissected away from the aorta with the specimen from about 1 cm from aorta. Resection is carried down to the rectosigmoid intestine.